How to Remove the PDF margin so as to read it conveniently on iPad or iPhone? The margins of my PDF documents are too large when someone read them on their iPads and iPhones. Do you have any software that can help me trim the PDF pages? You can download A-PDF Page Crop for a try. 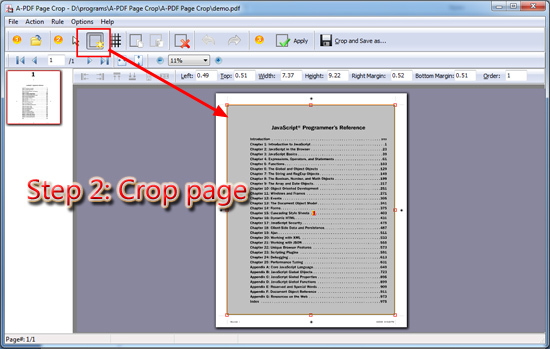 This small utility can help you crop the PDF pages very easily. 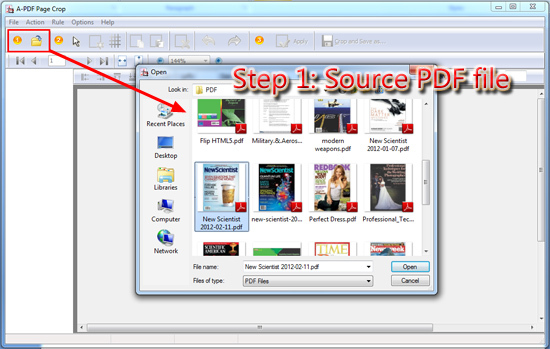 Just follow below steps and you can trim your PDFs to suitable ones. 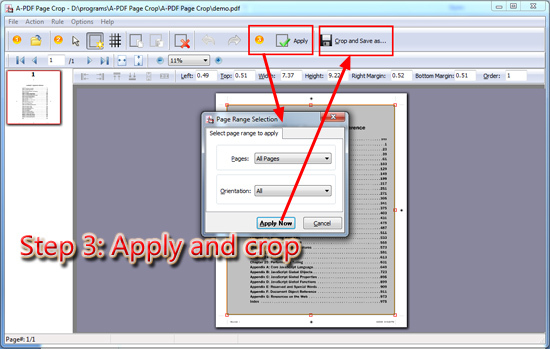 Click the "Open a PDF file to crop" icon to add a PDF file to the program. After you open a PDF file, click "Draw a crop box" and draw the box to select the page area that you want to display, which means the area outside the box will be removed. Click the "Apply" button to select which pages (all pages, even pages, odd pages, landscape pages, or portrait pages), and then click "Crop and Save as" to start cropping pages.